Skiing in Colorado. Hiking in Montana. Mountain biking in Oregon. 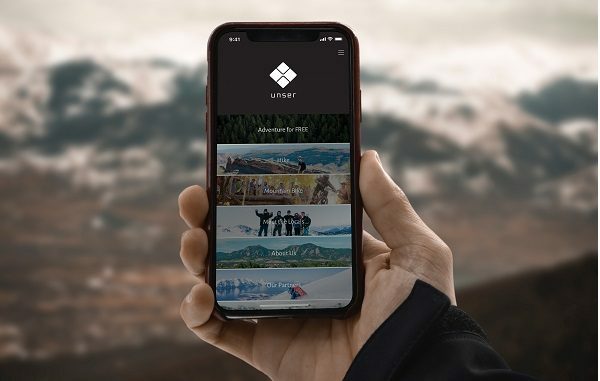 Users can do all of this through Denver-based Unser Outdoors, whose app aims to pair people interested in outdoor activities with local guides all over the country. Founder Alex Fletcher, 23, said he launched the app at the end of October. Six hundred users and 60 local guides since have signed up, although Fletcher said there have been only a few bookings so far. Fletcher is hoping that number will rise quickly in the warmer months, and looks to raise between $500,000 and $1 million in funding to spend on marketing and improving the product. Fletcher grew up in the San Francisco Bay area before going to boarding school in New Hampshire, where he competed in snowboarding and mountain biking. 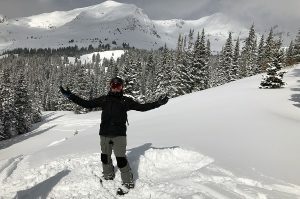 He moved to Colorado for college, and decided to focus on the outdoor recreation industry after injuries delayed his dreams of competing in professional mountain biking or snowboarding. For the past year, Fletcher has been fitting Unser in between classes and homework, but upon graduating from the University of Colorado Denver in May, he expects to work on the business full time. Right now, Unser allows users to book mountain biking, skiing and hiking excursions, at daily rates that range from $45 to $135, Fletcher said. The company takes a 30 percent cut and the guides earn the remaining 70 percent. The company isn’t pairing itself with professional guiding operations. Of the 60 guides Fletcher found using social media, many of them are first responders, including a paramedic and firefighter in Maryland. “We really just have the normal people with normal day jobs or students who love being outside and want to show off how awesome their home is,” he said. Competitors include Airbnb, which in addition to renting lodging also enables users to book experiences or tours with local guides. Fletcher said other competitors have popped up in Southern California as well, but he thinks his own experiences in the outdoors set him apart from other businesses trying this. Fletcher said he plans to expand the app to include trail running, climbing, surfing, stand-up paddle boarding and other activities.